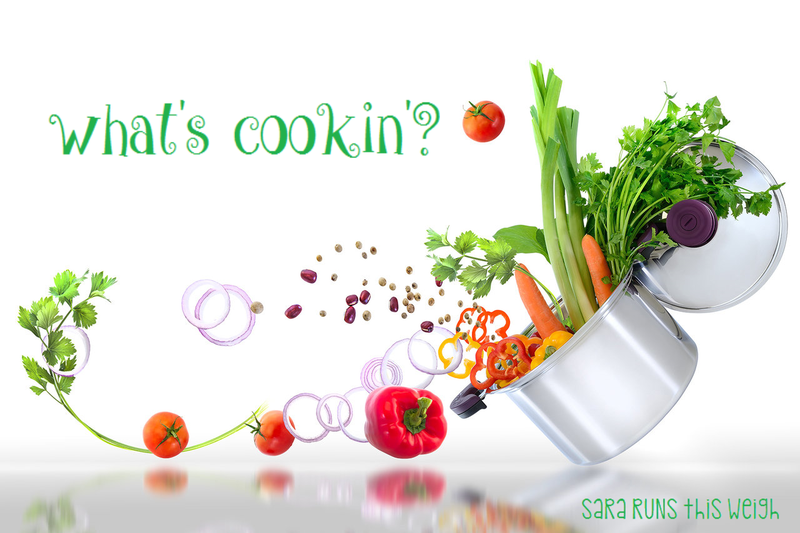 This issue of What's Cookin' I've got a summery side dish/snack that the whole family will love and a creamy main dish for your dinners. The other day while I was running, I randomly started craving fruit salad. I didn't have time to go to the store and buy a bunch of fruit, come back home, cut it all up and properly sate my craving, so I just cracked open some no sugar added cans of fruit instead and put off making actual fruit salad for today and then I would be eating it all week! Now, I would like to say that you can basically use whatever fruits catch your fancy. I will be honest here and tell you that I do use *some* canned fruits simply because those fruits are easier to work with when they're canned...in my experience. These fruits are pears, peaches, and mandarin oranges. I did also use canned pineapple this time. When I use canned fruit, I *ALWAYS* go with the "light syrup," "lite," "no sugar added," etc options. I drain all the juice out of the can and will rinse the fruit to remove as much unnecessary whatevers from the fruit as possible. 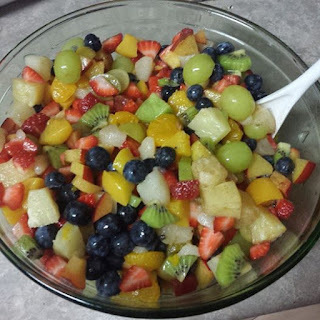 My fruit salads are like my spaghetti sauces...I never make exactly the same thing twice. So, here I will give you a list of what I used for this batch of fruit salad. I was also going to cut up 2 mangoes and add them, but what I already had was more than I was expecting to have, so I just set them aside and will eat them later. This amount of fruit made about 12 cups worth of fruit salad. I divided this into six 2 cup portions. A lot of food, not very many calories. 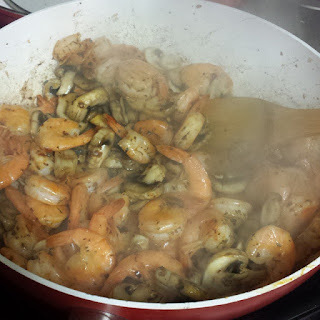 • heat a large skillet until hot and add 2 tbsp of olive oil and immediately add garlic and shrimp. cook until pink, on medium-high heat. flip the shrimp and then sprinkle with the basil, paprika and crushed red pepper. cook for another 1-2 minutes, occasionally stirring, until shrimp is pink on all sides. remove the shrimp from skillet and set aside. • in the same skillet, add the sliced mushrooms. add the other 2 tbsp olive oil. cook on high heat for about 2 minutes, occasionally stirring, until mushrooms become soft and release juices. salt midway through cooking. 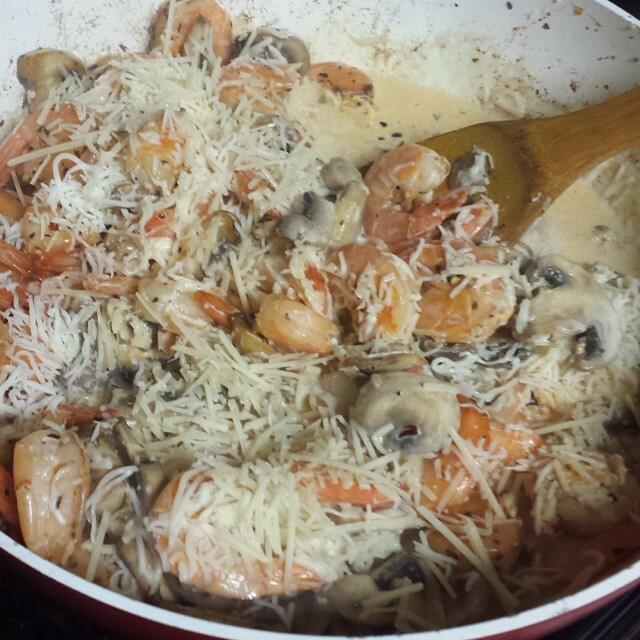 • add the shrimp back into the skillet with the mushrooms. 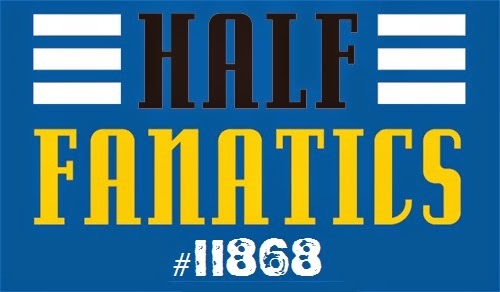 immediately add the half & half and all the cheese. bring to a boil, then reduce to simmer, and cook, constantly stirring, until all cheese melts. cover with lid and remove from heat. 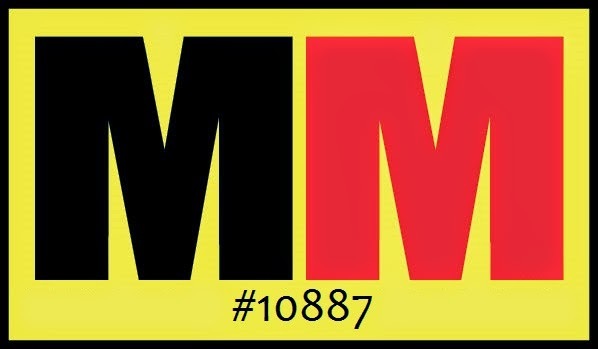 • for each 7 oz package of Miracle Noodles, drain and rinse the noodles, place in a microwave safe container and microwave on high for 3 minutes, then rinse again.